The Congress chief cited a media report which claimed that for 750 kg of onion, a farmer was given Rs 1040 in Maharashtra. 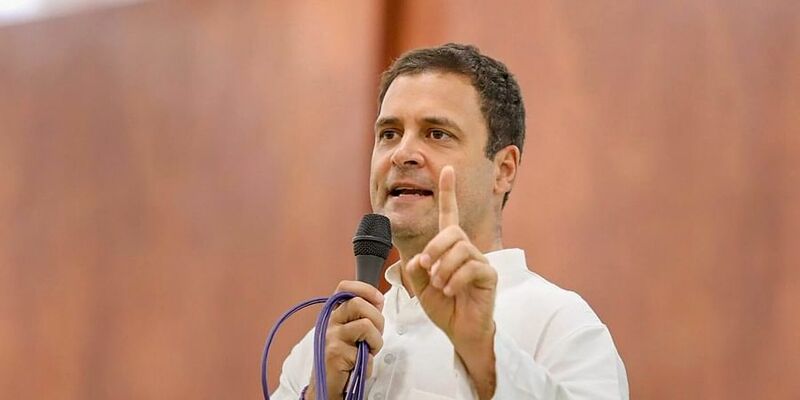 NEW DELHI: Congress chief Rahul Gandhi Monday attacked Prime Minister Narendra Modi over the issue of agrarian distress, saying he was making "two Hindustans" -- one for Anil Ambani and the other for farmers. He cited a media report which claimed that for 750 kg of onion, a farmer was given Rs 1040 in Maharashtra. "Modiji is making two Hindustans. One is the Hindustan for Anil Ambani -- who without doing anything, without making an airplane, will get the Rafale contract worth Rs 30,000 crore from Modiji." "The second is the Hindustan for farmers -- whose 750 kg of onion grown after four months of toil will get only Rs 1040 from Modiji," the Congress president tweeted. The Congress has been attacking the Modi government over issues concerning the farmers, alleging that the government's policies have left them in distress. The government has rejected the claims and pointed out the number of steps it has taken for the welfare of farmers. The Congress party and its chief have also launched an offensive on Modi and his government, alleging corruption and favouritism in the fighter jet deal for purchase of 36 Rafale aircraft from France's Dassault Aviation, a charge the government has strongly denied.